First thing to learn before working with the wolf spirit and their magik, is what their spiritual purpose is. Each wolf comes to this plane of existence with a special gift of knowledge, just as we humans do. But unlike us, they (and most animals in the universe) are much better adapt to living within the balance of physical nature and with the flow of natures energy or spiritual energy. To work with the wolf, one needs to understand how the universal energy is connected to each wolf and move forward from there. The following is a brief explanation of this concept of magik and how you can align yourself with the right use of energy. 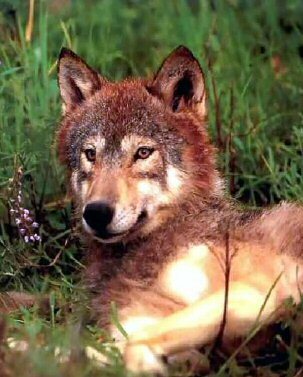 Wolves are considered by many Shamanistic traditions (not all) to be the highest animal in the spiritual plane. Keep in mind that Shamanistic cultures are world wide and not all hold the same beliefs. For instance, here in the U.S., Native Nations in the northern plains honor the Buffalo, nations in the north east honor the eagles and Nations in the mid-Atlantic and south east honor the Wolf. Which makes sense when you consider the wolf was abundant in its population within the Appalachian mountains 200 years ago. To these and other cultures around the world, Wolves are the teachers and guardians of balance in nature within the Divine Universe. They are the spiritual messengers in animal form, between the Great Spirits and incarnated beings. Depending on their color, they teach different lessons and share different knowledge with those they watch over and walk beside, whither in spirit or physical form. Coloring is used as a means of spiritual classification for one basic reason. Energy, all energy contains several properties or traits that define its characteristics. Energy has a sound that can be recorded, an ‘energy level’ or movement that can be measured and a color that can be perceived and photographed. For instance, place your hand on a stereo speaker and play a song. Do you feel the speaker vibrate with different variations based on the note being heard? Watch the flames of a fire. The intense or hottest part of the flame is white, or very light blue. The “cooler” portion of the flame is more red or orange. Each component has a different temperature, it resonates with a different movement and it appears as a different color. Attaching an energy or purpose to an object, or an animal based on their color is not a new concept. It’s as old as time. A black cat is seen in the west as being bad luck. A white anything is seen as pure or Divine. But life isn’t really that “black” and “white”. Black doesn’t necessarily mean negative, and white doesn’t always mean Divinity. So keep in mind the following is based on my spiritual tradition and there are many other correspondence lists out there. Within the wolf community, each breed shares a lot of common energies, as outlined by Ted Andrews in his book Animal Speak. Snow wolves vs. the Mexican wolf for instance hold similar characteristics. But each one has its own set of specific energies. 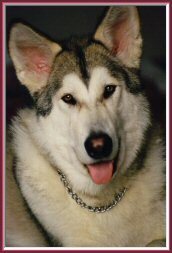 Learning the specific energies for the individual guides within the pack are also helpful when working with wolf magik. Known as the phantom, the white wolf lives in the spiritual and physical dimensions simultaneously. They teach the lessons which help to bring both these lives into balance. The help us learn how to build the bridge between the two worlds so that we might learn the underlying purpose of events and issues in our life from a higher perspective. They guide us down the middle road so we can call upon spiritual knowledge to gain information that help us walk through the physical world. And they share their knowledge so we don’t have to try so hard to merge these two worlds and their knowledge together simultaneously. They teach the lessons of health and healing. How to use the forces of nature in conjunction with the earthly knowledge of medicine to maintain a balance between the mind/body/spirit connections. They promote alternative therapies and the benefits of natures medicine; but they don’t ignore the achievements of science. They teach the lessons of using both in support of each other. Not relying on one over the other. The hidden lessons, reaching through the veil of sight into the realm of spirit. The gray wolf is the teacher of spirit connections and communications. How we can balance our path with information from our spiritual teachers and guides. They share the knowledge of nature and try to guide our physical journey by taking notice of what nature has to tell us. They are the keepers of earth and nature. They help us communicate with our surroundings, with the earth, with those around us and with nature in physical or spiritual form (such as in dream or meditation). They are the teachers of communication, both in word and gesture. When you see an animal cross your path, and you’re unsure of its message, the Red wolf can help you decipher the communication. The teachers of the physical. The black wolf helps us to bring balance into the physical natures, desires and expressions of our daily lives. They keep us focused on the issues of this plane of existence where our spiritual lessons and karmic experiences help us evolve and progress to the next spiritual level toward enlightenment. These primary colors govern all shades of the wolf kingdom. 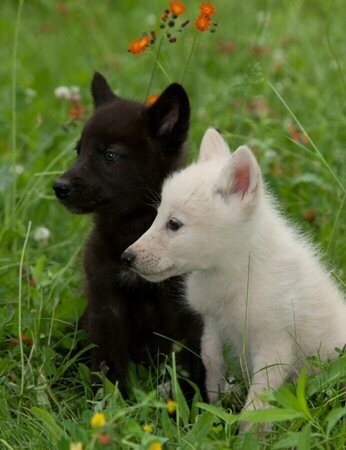 Light colored wolves, would fall into the White Wolf category and so on. Hello Susan. Blue coats in the animal kingdom aren’t really blue, so that’s probably why you can’t find anything. There’s a beautiful shepherd breed that’s called the Blue Shepherd. They’re actually exceptionally dark brown, that looks black with a bit of gray mixed in. Ever see a black horse in the sunlight? They’re very dark brown. So you could look at black or brown as an alternative. I tried to search through my mythology sources and I wasn’t able to find anything related to blue wolves. So I tried looking for blue anything; didn’t find that either. Thank you! Yes, the blue wolf is a mythical reference, a dream vision – not a real wolf. The only thing I did find in reference to a blue wolf is a Mongolian myth. But as you suggest, it’s more a blue-grey. Your link to the color system is fantastic! I really appreciate it and it is helpful.